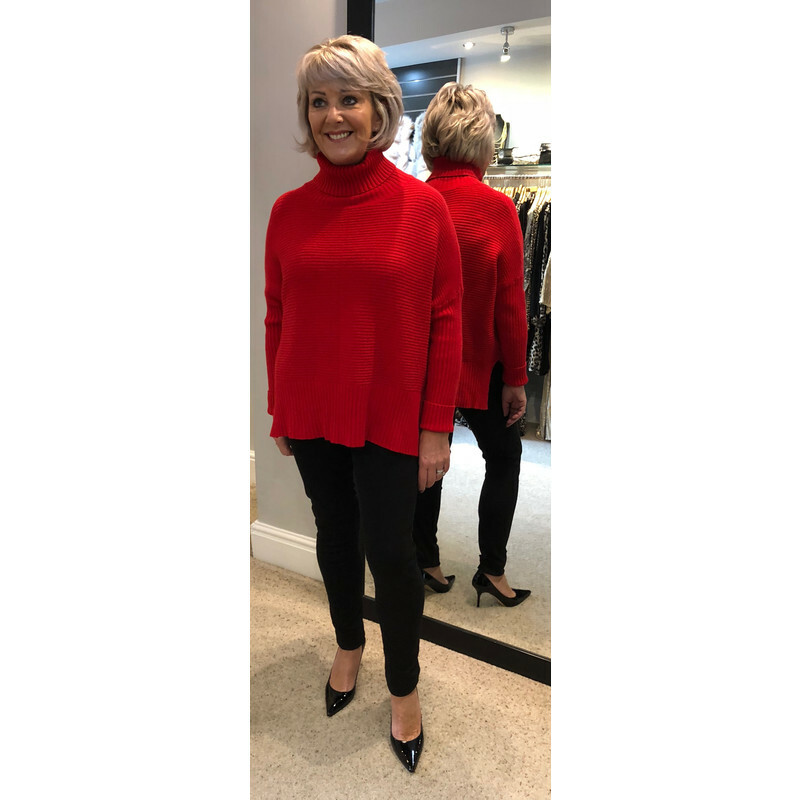 Our Janette Jumper is a fabulous addition to your knitwear wardrobe. It is a ribbed jumper with added detail from the turtle neck and small slits up each side. 56% viscose. 28% polyester. 16% nylon.